G. P. Putnam’s Sons, 2011. 372 pages. On the same day that Rory Deveaux from Benouville, Louisiana, arrives in London for a year of boarding school, someone decides to imitate the murders of Jack the Ripper. The murders are gruesome and horrible, and keep arriving on schedule, with Rory’s school in the middle of Ripper territory. But the worst part about these new murders is that the victims can be seen on the closed circuit TV cameras posted all over London. But the person murdering them cannot be seen. Then Rory begins seeing people that her friends don’t see. And on the night of one of the murders, one man in particular talks to her, but her roommate Jazza doesn’t even see him. He knows who she is and where she lives. I don’t want to say too much more about the plot, because it’s all played out beautifully, with plenty of growing suspense as we begin to figure out, along with Rory, what is going on. Now, call me sheltered, but I had no idea how gruesome Jack the Ripper’s murders were. I thought he just slit people’s throats or something. Using those details definitely raises the stakes in this novel. We want to see the murderer brought to justice, and we don’t want to see Rory fall into his clutches. The non-paranormal part of the story is entertaining on its own with an American girl trying to fit in at an English boarding school. I fully sympathized with Rory’s horror at field hockey every single day. “Welsh is an actual, currently used language and our next-door neighbors Angela and Gaenor spoke it. It sounds like Wizard. “Baked beans are very popular in England. For breakfast. On toast. On baked potatoes. They can’t get enough. “‘American History’ is not a subject everywhere. “England and Britain and the United Kingdom are not the same thing. England is the country. Britain is the island containing England, Scotland, and Wales. The United Kingdom is the formal designation of England, Scotland, Wales and Northern Ireland as a political entity. If you mess this up, you will be corrected. Repeatedly. “The English will play hockey in any weather. Thunder, lightning, plague of locusts . . . nothing can stop the hockey. Do not fight the hockey, for the hockey will win. This is a well-written novel of suspense, but with lots of fun mixed in. I’m an avid follower of Maureen Johnson on Twitter, where she’s the funniest person ever, so I wasn’t at all surprised to love Rory’s voice. I am not a person who deliberately chooses to read scary books. Yet I thought this scary book was wonderful, and a whole lot of fun. I’m looking forward to future books. Source: This review is based on a book I ordered from Books of Wonder, signed by the author. 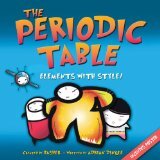 Review of The Periodic Table: Elements with Style! Kingfisher, New York, 2007. 128 pages. Why is learning so much more fun when it’s done with cartoons? In this book, the elements introduce themselves, in groups, with cartoon pictures of the key elements. I found myself reading the whole thing, even though I took Chemistry so long ago, I don’t remember much of anything about it. This is a fun introduction to the periodic table, told in a way that’s likely to stick! Marshall Cavendish Children, 2011. 40 pages. The title of this book definitely caught my eye! You see, my maiden name is Hatch. In fact, I decided that someone in my family who still bore the name would have to own this book, and I sent it to my sister for her birthday. The book itself, besides its delightful name, is a nice introduction to various kinds of birds. It reminds me of The Bird Alphabet Book, by Jerry Pallotta, which my son spent hours looking over when he was small. It was one of the first picture books he memorized all the words to, we read it to him so many times. I can easily imagine a small child being just as fascinated with this book. The format is a nice predictable one. First, some eggs are shown and the text tells some facts about the type of bird that laid them. The caption asks, “Can you guess whose eggs these are?” Older kids may well be able to guess some of them. Then, as you turn the page, you see the birds with a nest of hatchlings in their native habitat. The text tells the name of the birds and more interesting tidbits about them. On each habitat page, there is a list of several other critters “also on this page.” So it will give some fun to younger children to spot the other animals. My one complaint with the book is that I wish the eggs were drawn to scale. The ostrich and hummingbird eggs are drawn at similar sizes. The description tells how big and how small they are, but I think it would be much more effective to show that. That might perhaps interfere with putting the text in an egg shape, but maybe in the initial drawing of the eggs, they could at least make them actual size. 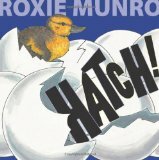 Other than that little quibble, I think this book will set many children off on a fascination with birds. Interesting and beautifully done. Bloomsbury, New York, 2011. 232 pages. I always wish for fantasy books to get some Newbery glory. It’s my favorite genre, and although some win, some years outstanding books get passed over. This year, the fantasy book I’m rooting for is Tuesdays at the Castle, by Jessica Day George. Okay, it’s got some tough competition in the form of Okay For Now, by Gary Schmidt. Tuesdays at the Castle is much lighter fare, not covering big, heavy issues that come up in Okay for Now. However, what Tuesdays at the Castle does, providing a light, intriguing fantasy tale for middle grade readers, it does exceptionally well. “Whenever Castle Glower became bored, it would grow a new room or two. It usually happened on Tuesdays, when King Glower was hearing petitions, so it was the duty of the guards at the front gates to tell petitioners the only two rules the Castle seemed to follow. “Rule One: the Throne Room was always to the east. No matter where you were in the castle, if you kept heading east you would find the Throne Room eventually. The only trick to this was figuring out which way east was, especially if you found yourself in a windowless corridor. Or the dungeon. “This was the reason that most guests stuck with Rule Two: if you turned left three times and climbed through the next window, you’d end up in the kitchens, and one of the staff could lead you to the Throne Room, or wherever you needed to go. “Celie only used Rule Two when she wanted to steal a treat from the kitchens, and Rule One when she wanted to watch her father at work. Her father was King Glower the Seventy-Ninth, and like him, Celie always knew which way was east…. “The Castle didn’t seem to care if you were descended from a royal line, or if you were brave or intelligent. No, Castle Glower picked kings based on some other criteria all its own. Celie’s father, Glower the Seventy-Ninth, was the tenth in their family to bear that name, a matter of great pride throughout the land. His great-great-great-great-great-great-great-great-grandfather had become king when Glower the Sixty-Ninth’s only heir had turned out to be a nincompoop. Legend had it that the Castle had repeatedly steered the old king’s hairdresser to the throne room via a changing series of corridors for days before the Royal Council had declared him the next king, and the young man who should have been Glower the Seventieth found himself head down in a haystack after having been forcibly ejected from the castle through the water closet. “King Glower the Seventy-Ninth, Lord of the Castle, Master of the Brine Sea, and Sovereign of the Land of Sleyne, knew when to leave well enough alone. He married the beautiful daughter of the Royal Wizard when the Castle guided them into the same room and then sealed the doors for a day. He paid attention when the Castle gave people larger rooms or softer chairs. When his oldest son, Bran, kept finding his room full of books and astrolabes, while his second son, Rolf’s, bedroom was moved next to the Throne Room, King Glower sent Bran to the College of Wizardry and declared Rolf his heir. But Celie ends up facing some big problems. Her parents go to Bran’s graduation from the College of Wizardry, and on the way home, they are attacked by bandits in the pass. Bran’s horse is found dead, but they don’t find the bodies of the royal family. However, the king’s Griffin Ring, which rumor says can only be removed at the king’s death, was found at the site of the attack. Search parties are sent out, but the king and queen and Bran are not found. But things don’t look hopeful for them, and the ministers don’t want to be without a king. Princes from their neighboring countries come with armed guards, plus servants and advisors and ministers of state. Ostensibly they are coming for the funeral. But Celie and her brother and sister don’t want to have a funeral. Though there seems to be no reasonable hope of finding their father alive, the Castle has not yet turned Rolf’s bedroom into the Royal Bedchamber, where the Crown of Sleyne remains. So the current King Glower must still be alive. But with the king missing, the neighboring kingdoms see Sleyne as weak. The ministers want to go ahead with Rolf’s coronation, but at fourteen they think he’s too young to rule, and will need a regent. The Castle is filled with foreign soldiers and now the foreign princes say they’re staying for Rolf’s coronation. How can Celie and her sister and brother salvage the situation and save the kingdom? And how can Celie use her knowledge of the castle to defend the country and her family? The story that follows is inventive and suspenseful and wonderfully creative. One lovely thing about it is that, though there’s a little romance with Celie’s big sister, the main focus all the while is on Celie, who is firmly a child, about ten years old. I love it that this child saves the day, doing realistic things for a child and little sister to do. For example, Celie is interested in the Castle and has been mapping it out. She knows it better than anyone. Which enables her to go places no one else can go…. in the characterization, because the Castle is like a character itself. The three royal siblings left at the Castle are all distinct personalities and contribute to the solution in ways that are true to their character. And the plot is wonderful, too — with plenty of twists and turns showing up like castle corridors changing direction, but all arising naturally out of the inventive situation the author has created. This book is tremendous fun, and my favorite children’s fantasy book of the year so far. Source: This review is based on an Advance Review Copy I got at ALA Annual Conference. Scholastic Press, New York, 2011. 409 pages. I wasn’t sure I would like this book when I read the cover flap, but ended up completely entranced. All my childhood love of The Black Stallion books was aroused. I started it on the way to KidLitCon, and was awfully annoyed when the plane landed and I had to stop. The second night (when I didn’t have a roommate), I kept reading until I finished, because sleep could wait! Now, I haven’t read any of Maggie Stiefvater’s other books. I’ve pretty much had my fill of werewolf or vampire books, so I didn’t even try them. But this one is about horses — bloodthirsty water horses. I thought the author had invented a completely new creature, but I learned in the afterword that there is a strong tradition of Manx and Irish and Scottish dangerous water horses. Of course, Maggie Stiefvater took the idea and made it her own. This is no fairy tale retelling, but an intriguing story with mythic elements. “It is the first day of November and so, today, someone will die. “Even under the brightest sun, the frigid autumn sea is all the colors of the night: dark blue and black and brown. I watch the ever-changing patterns in the sand as it’s pummeled by countless hooves. As Sean watches his father mount the red stallion, he hopes the capall will remember what Sean whispered in his ear: Do not eat my father. “I am watching the race from the cliffs when a gray uisce horse seizes my father by his arm and then his chest. “For one moment, the waves do not attack the shore and the gulls above us do not flap and the gritty air in my lungs doesn’t escape. “Then the gray water horse tears my father from his uneasy place on the back of the red stallion. Then the book begins, nine years later, from the perspective of our other protagonist, Kate “Puck” Connelly. Her parents were also killed by water horses, but not because they were racing. Last Fall, they were simply going for a ride in their boat offshore the island, when a water horse attacked and killed them. Now Puck’s older brother, Gabe, goes to work at the Hotel, and Puck keeps things going at home for him and their younger brother, Finn. Puck and Finn are going into town along the beach with Puck’s beloved ordinary horse Dove when they see the first water horse of the year come onto the land. “Finn flinches as the horse gallops down the beach toward us, and I lay a hand on his elbow, though my own heart is thumping in my ears. “I cling to what we’ve been told over and over — that the water horses love a moving target; they love the chase. I make a list of reasons it won’t attack us: We’re motionless, we’re not near the water, we’re next to the Morris, and the water horses despise iron. “Sure enough, the water horse gallops past us without pause. I can see Finn swallowing, his Adam’s apple bobbing in his skinny neck, and it’s so true, it’s so hard not to flinch until it’s leapt back into the ocean once more. “This is what happens every fall. My parents didn’t follow the races, but I know the shape of the story nonetheless. The closer it gets to November, the more horses the sea spits out. Those islanders who mean to race in future Scorpio Races will often go out in great hunting parties to capture the fresh capaill uisce, which is always dangerous, since the horses are hungry and still sea-mad. And once the new horses emerge, it’s a signal to those who are racing in the current year’s races to begin training the horses they caught the years before — horses that have been comparatively docile until the smell of the fall sea begins to call to the magic inside them. “During the month of October, until the first of November, the island becomes a map of safe areas and unsafe areas, because unless you’re one of the riders, you don’t want to be around when a capall uisce goes crazy. Our parents tried hard to shield us from the realities of the uisce horses, but it was impossible to avoid it. Friends would miss school because an uisce horse had killed their dog overnight. Dad would have to drive around a ruined carcass on the way to Skarmouth, evidence of where a water horse and a land horse had gotten into a fight. The bells at St. Columba’s would ring midday for the funeral of a fisherman caught unawares on the shore. Then the narration alternates back to Sean Kendrick. He’s nineteen now, and he knows the water horses better than anyone else on the island. He has won the Scorpio Races the last four years, riding on Coll, the red stallion his father rode the day he died. But Sean isn’t racing on his own name. He works for Mr. Malvern, the richest man on the island. He wants nothing so much as to own Coll for himself, but Malvern isn’t selling. Then Puck’s brother Gabe tells her he’s leaving the island to find work. Puck will do anything to keep him here, for any length of time, so she decides to enter the race this year. But the island men don’t want a woman in the races. They say it’s bad luck, that she doesn’t belong. But Puck has to win. That’s the only way she can save their home, on which Malvern says he’s going to foreclose. To add to Sean’s difficulties, Malvern’s son Mutt is jealous. Sean has always told Malvern which horse is the safest, so Mutt can ride that one. But now Mutt wants to win, even if it takes riding a horse that’s more than he can handle. We quickly get drawn into these characters’ lives. They both love the island and the island’s traditions. They both love their horses. And they both really need to win. Meanwhile, there’s a long tradition of how the training is done in the weeks leading up to the race, and Maggie Stiefvater has the reader mesmerized as Puck and Sean go through those weeks, Puck facing the hostility of the whole town, and Sean facing Mutt Malvern’s hatred and Malvern’s refusal to let him buy Coll. Along the way, they both are in life-or-death danger over and over again. This book is brilliant. As I said, all my horse-book-loving little girl passions were aroused! But it had more than that. These horses were faster and far more deadly than ordinary horses, so the stakes were much higher. The author also worked in a realistic scenario of a small island totally dependent on the tourism surrounding its annual race, with young people leaving the island for the mainland. Like The Black Stallion, we’ve got a young man who is the only one who can ride a wild stallion, and maybe the horse loves him back, though wild with everyone else. And we’ve got a girl willing to risk everything to stay on the island she loves. No surprise, there’s romance between Sean and Puck, and it’s beautifully, delicately done. As the end approaches, we definitely want both of them to win the race, with so much at stake. The one little thing I wasn’t crazy about was the character of Mutt Malvern. In general, I don’t like books to have a stereotypical bully. But Maggie Stiefvater made the situation seem quite realistic and we could pretty easily believe Mutt would act the way he did. She did keep him just the right side of stereotypical. And the interaction between Mutt and Sean definitely ratcheted up the tension. Yes, I confess, even though I never had a horse, I was a stereotypical horse-loving little girl through books. And this book was like those childhood reads, only more so. I have a feeling I will be rereading this book many times. It is that good. Random House, New York, 1993. 143 pages. I began this book shortly after my divorce was finalized. Honestly, in bad moments, I’m feeling wounded, a failure, and unlovable. My mind knows all that is not true, but my heart needs uplifting messages of truth. And that’s exactly what this book provided for me. I found myself posting resonant quotations from this book over and over on Sonderquotes. I’ll post some of my favorites here, and that will give you the idea. If these uplift you as they did me, I recommend getting the book and reading more of this encouragement for yourself. Harvard Business Review Press, 2011. 191 pages. This is an intriguing and hopeful book. Vikram Akula was working in India with a nonprofit organization that offered microfinance loans to poor people. But they quickly ran out of funds. “Am I not poor, too? With these words, this driven, determined woman suddenly made me see how unfair — unjust, really — our microfinance program was. Yes, we were helping hundreds of poor Indians take the first steps to pull themselves out of poverty. But my program had just $250,000 to spend in thirty villages — that was all DDS had been given for the project. And once that money was disbursed, there was no money left for other poor Indians who desperately wanted a chance too. “The woman wasn’t asking for a dole. She wasn’t asking for a handout. She was simply asking for an opportunity. But we couldn’t give it to her. His solution ended up being charging higher interest — and making a profit from the work the poor people did. It sounds atrocious, but Vikram Akula ended up convincing me it was a brilliant idea. Now his company is helping thousands of times more people — and has people wanting to invest more money, rather than them having to ask for money. The book goes into details of how his program works and how they make it good for the people who get the loans as well as for the company. It’s a fascinating story. “I believe a commercial approach is the best way to give the most poor people access to finance. My early days at DDS taught me a crucial lesson: the poor are really no different from you or me. They’re not stupid or slow, and they aren’t looking for us to rescue them or teach them anything. The relationship between SKS and our members is mutually beneficial. Our members are receiving tools that have long been denied them, and using them to do things they’re naturally skilled at doing. In return, SKS is building an enormous member base, establishing a brand, raising money in investments, and continuing to expand the number of poor members served. It’s a perfect circle, one that benefits everyone. This reminded me of Libraries. Bear with me, as I realize I’m someone obsessed by an idea. But I’ve seen homeless people who go to the library every day absolutely refuse when kind people want to give them hand-outs. When my oldest son was small and my husband was a Senior Airman, we had a low enough income to participate in the WIC program, and it felt very demeaning. The government workers assumed we didn’t know much about nutrition, for a start. In the end, the little bit of financial help they could offer wasn’t worth the “educational” sessions we had to sit through. I had too much pride. So how does this relate to Libraries? Libraries help the poor tremendously, but they allow them to keep their dignity because they help rich people, too. Bottom line, libraries are a big cooperative to purchase books for an entire community at a lower price. Everyone benefits, so no one has to feel that they are singled out to be “helped.” Libraries help everyone, and people can be proud to use them, without feeling obligated. It is similar with SKS. The investors are making money because of the hard work of those who take out loans. And they are able to get out of poverty, but don’t have to feel indebted to those who made it possible. Those people benefit, too. Sometimes, you help people more when you allow them the dignity of helping you. When the investors in SKS make a profit, they allow the “helping” not to be all on one side. Vikram Akula closes his book telling the story of another woman, a woman whose whole family has been helped by SKS. “I thought back to the woman in the faded purple sari, all those years ago — the woman who asked the question that changed my life: ‘Am I not poor, too?’ And I couldn’t help but contrast her with smiling Yellamma, proudly telling me about how SKS has helped her family. I got to hear Ann Patchett read from this book almost a full year ago, when she spoke at the Fall for the Book Festival at George Mason University in Fairfax, sponsored by the Fairfax Library Foundation. It’s been a long time to wait for it to come out! Though it didn’t exactly make me excited to read the book — the passage she read involved an Anaconda on a small boat in the Amazon, and it was portrayed all too vividly. But I did know from that reading that the book would be well-written, vividly described, and definitely exciting! I was right about all of that. Her writing is so evocative. She deeply pulls you into the lives of her characters — who are definitely individuals, with very particular, very unique lives. But it doesn’t take long reading to feel like you know these people, to completely believe that their lives and complex histories are exactly as described. Naturally, that doesn’t satisfy anybody. So Marina goes to find out how he died and to check on the progress of the work while she’s at it. But Dr. Swenson’s work is so secret, no one even knows where she is, and the first step is to wait in a city outside the jungle until she comes in for supplies. What’s more, Marina has some baggage. Years ago, Dr. Swenson was her advisor in her medical residency. But Marina had an accident in performing a Cesarean section, and transferred out of obstetrics and gynecology to pharmacology. She, along with all the residents, idolized Dr. Swenson. But she understands that nothing but the work is important to Dr. Swenson. So she is not surprised when Dr. Swenson doesn’t even remember her. And there’s so much more going on. I won’t tell any more, so you can enjoy discovering it all in the delightful way Ann Patchett gives it to you, as if you’re learning it from the people themselves. This book is so richly textured, with layers and layers of meaning. I see in my notes from her talk that she says that when writing “you have to know the characters first — like knowing people.” And her characters are indeed like real people, each with their own unique history and hang-ups and interests. You will be fascinated when these people you’ve come to know get plunged into extraordinary situations. You are currently browsing the Sonderbooks blog archives for October, 2011.